- The most convenient: streaming from your Samsung Gear VR in-app browser. - The best experience: download and play with Samsung VR Videos. - Use Oculus browser to navigate to BabeVR and go to the video page of your choice. - Click the Play button, wait while it loads and click Start. That's all! Your video will start playing with a lower quality but you can adjust it using the HQ button from the player's menu. Note that you can try any quality but if you choose "oculus" you might experience frame rate drops. Pre-requisite: Install Samsung VR Videos from the Oculus store. - Browse to BabeVR website using your mobile web browser and choose a video. 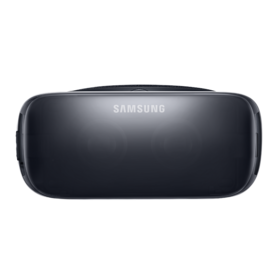 - Click the Stream button and choose Samsung Gear VR. - Follow instructions and plug your phone in your Gear VR. - Wait for few seconds for the Samsung VR Videos app to start. - Download the Samsung Gear VR format. - Plug your phone and put your Gear VR headset on. - Launch Samsung VR Videos app from your Library. - Play your video! It should be located in Media > Videos> Download. If you are experiencing an issue trying to watch one of our videos please follow the instructions below before reaching out to BabeVR support. Make sure your phone is running the latest version of Android, Oculus Store and other related applications. Proceed to Oculus Store and install the Samsung VR Videos player to your phone. Samsung VR Videos player is currently the most versatile video player for 360º or 180º panoramic videos. If you can't find the player, go to Library and tap Not installed, you should find it there. The Samsung VR Videos player is currently available only in specific countries. To overcome this restriction you will have to use a VPN connection. Use your own VPN server or some of the free applications available on Google Play to change your location to the US. Some apps like Batternet VPN or any VPN provider from vpncomparison can mask your location on the Oculus application.